In the early hours of 29th May Baha’is around the world commemorate the passing of Bahá’u’lláh, the prophet founder of the Bahá’í Faith. 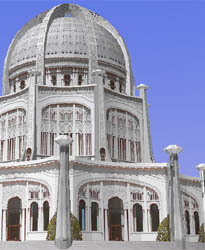 At 3am (4am where daylight savings time is in force) Baha’is gather together and often turn toward Bahji, near Akka in Israel, where Bahá’u’lláh is buried in His shrine. In a few hours I will be heading out to lighthouse near Whitley Bay on the east coast of northern england and looking out over the sea as the sun appears over the horizon while prayers are read aloud. The way in which the occasion is commemorated varies from community to community but as the hour strikes 3 (or 4 in our case) around the world in time-zone after time-zone the Baha’is commemorate that same hour in 1892. 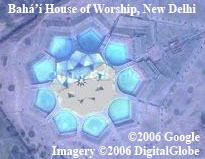 The title “Bahá’u’lláh” means “The Glory of God”. In 1863, Bahá’u’lláh declared Himself to be the Messenger of God for this day and age and the Promised One of all religions, the announcement was of little surprise to many who knew Him and were ready to follow Him. Bahá’u’lláh suffered 40 years of torture, imprisonment and exile. He was exiled from Tehran in Persia (Iran) to Baghdad and then Turkey before being sent to ‘Akká, where the prison city had a reputation for having the foulest air and few were expected to survive. After some time He and His family were moved to Bahji, on the outskirts of Akka, where He was imprisoned in a mansion house for the remaining years of His life. Nine months before His passing Bahá’u’lláh had started expressing His desire to depart from this world to his closest friends and family, increasingly preparing them for the event to come in the 75th year of His life. On the evening of May 8th 1892 Bahá’u’lláh developed a slight fever which, though it worsened the following day, then seemed to improve. He continued to meet friends and visitors but it soon became evident that He really was not well. The fever had returned more acutely than before and Bahá’u’lláh’s physical condition steadily deteriorated until further complications eventually caused Him to ascend from this world at the hour of dawn on May 29th 1892. 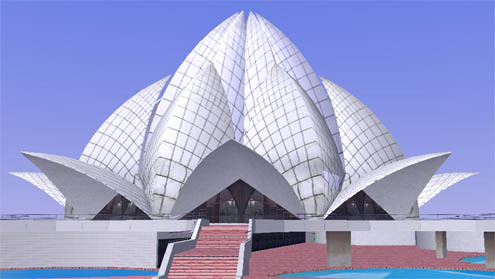 News spread quickly on that day and large crowds came to mourn Bahá’u’lláh, from many different religions and backgrounds, including officials, priests and other leading figures at that time. Bahá’u’lláh had already appointed His son, ‘Abdu’l-Baha to be the “Centre of the Covenant” to whom all Bahá’ís should turn after His ascension, thereby ensuring that the unity of the Faith could be maintained.